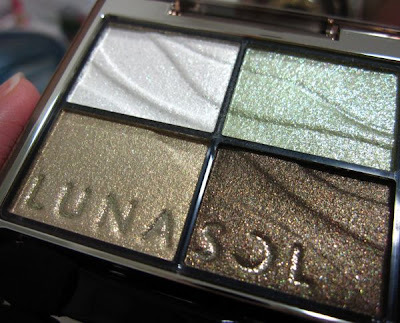 If you would like to experiment with green eyeshadows but don't want anything too bright, Nature Green quad may be suitable for you as the shades are not crazily loud although they still have the typical shimmery finish. The light green shade in the top right corner helps to add a fresh touch to the overall look. I used the brush to apply the white shade over the browbone area and the inner corners; and the fat sponge applicator to apply the light green shade from the inner corners to the middle of the lid, and along the lower lashline. 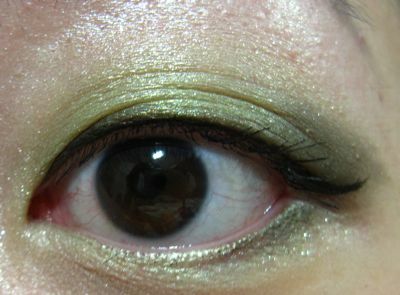 Next, I used the fat sponge applicator to apply the dark olive shade (bottom right) along the upper lashline, the outer corner of the lower lashline and the middle of the upper lid to the outer corner. 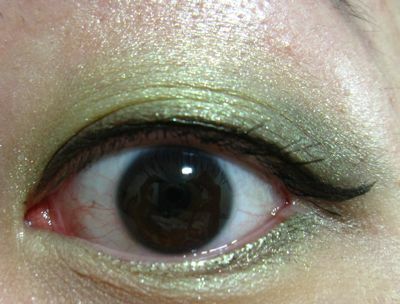 Then I finished off by blending the pale gold shade into the crease. For this look, I'm also wearing Maybelline The Falsies Volum'Express, Heroine Make Smooth Liquid Liner and Armani Lasting Silk Foundation. 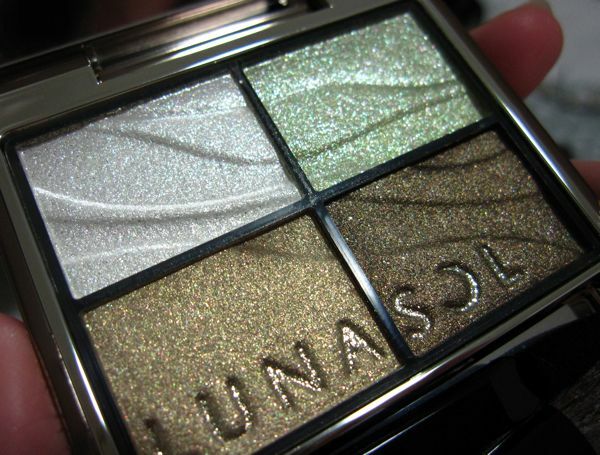 I found the colours too pale and earthy for my liking when I swatched them. But you look fab in these colours and the colours really suit you. The green is soo fresh~ :] And your lip color goes perfectly! 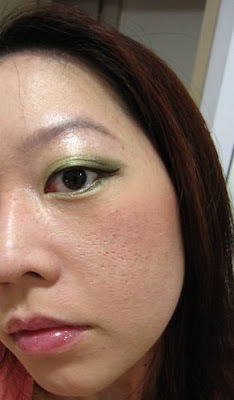 nature green is kinda similar to nature blue so i skipped that.. it is a very beautiful quad nevertheless and i like that the greens are not so bright.. they are a breeze to apply too :D lovely LOTD ! Sorry, I can't do CPs for readers as there would be too many requests otherwise. You can order Japanese brands from a number of websites like adambeauty.com and ichibankao.com. adambeauty has more reasonable prices.